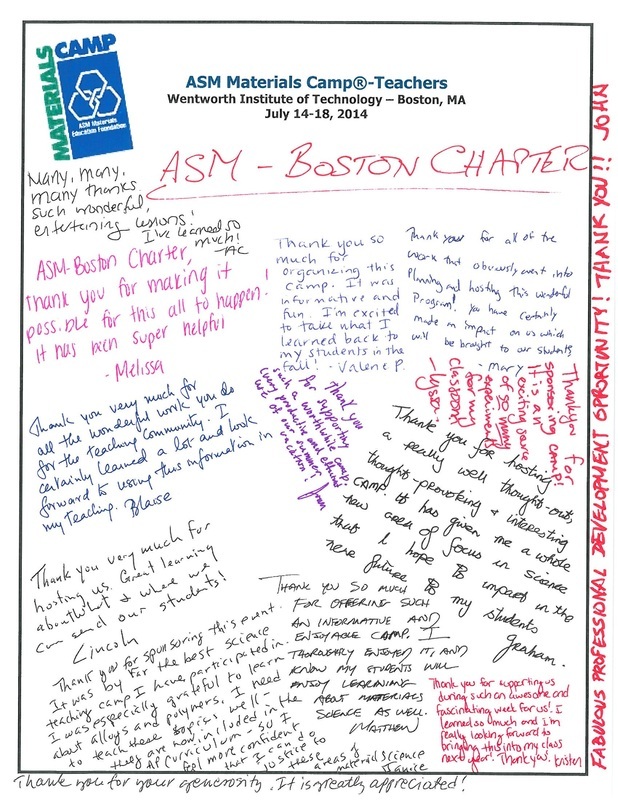 The second ASM Materials Science camp ever to be held in New England took place at Wentworth Institute of Technology in Boston last week. Twenty-four teachers, mainly high-school teachers from the Boston area, attended the 5-day workshop. They learned the basics of Materials Science and its applications, and conducted many labs and activities which elucidated the properties of materials, and which are low-cost and suitable for students. The Educational Foundation of ASM International provides the syllabus for these camps, which have been gaining popularity since the first one took place in 2002: there are nearly 50 camps, all over North America, this summer. Materials Science involves physics, chemistry and engineering and is called ‘the enabling technology’: most inventions rely on some new material with special properties. New England is a centre of Materials Science research and development work, and there is always a demand for experts in this field. All those attending, whether science teachers, math teachers or technical-education teachers, said, at the end of the week, that they had learned many new ways to engage their students in the coming school year, and they thought that many of the activities would be “fun and fascinating” for the students, and easy to integrate into their lessons. “My students will be so excited!” was a comment made many times. The camp was free for the teachers. 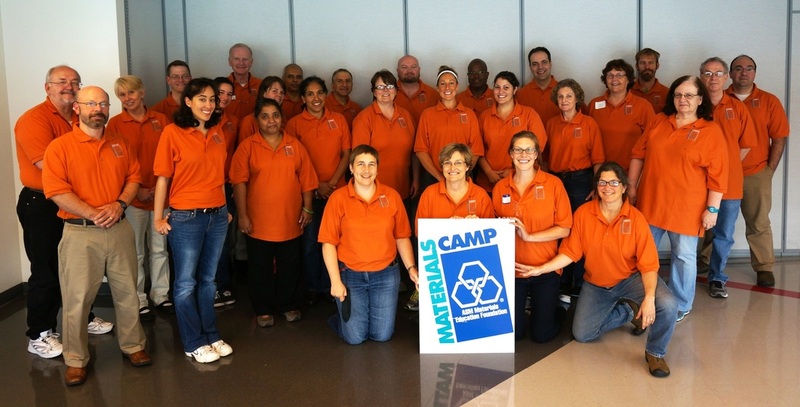 Major contributions to the camp’s organization were made by the Educational Foundation, and the Boston and Rhode Island chapters of ASM International, the National Association of Corrosion Engineers, and also by local companies H.C. Starck Inc. of Newton, and Instron Corp. of Norwood, as well as Wentworth Institute of Technology. The camp was so useful that everyone who took part said they will recommend to their colleagues that they should come next year!